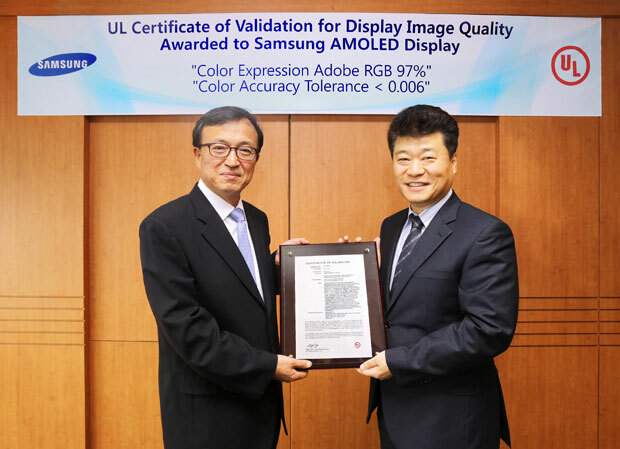 Samsung’s another technology has earned the Underwriters Laboratories’ certification. The American agency has certified Samsung’s 4.99-inch full HD AMOLED display used in the Galaxy S4 for its picture quality. The Samsung display boasts one of the best colour reproduction on a mobile display and features the broadest colour gamut of up to 97% for the Adobe RGB colour space which is touted to be 30 percent broader than the general sRGB standard. Additionally, the display features better legibility under sunlight, Diamond Pixel structure, improved contrast ratio and lots more.